Being around kids make me happy. Specially when they are aged 5 to 10. I find that age group old enough to have a conversation. And young enough to display marvel and surprise me. And then there is this desire to be a part of the local community, to receive and give love, and to contribute in an organic way. So, when East Cary MS (ECMS) asked for volunteers to proctor their end of grade tests I grabbed the opportunity. To contribute while I would get to be around kids in their natural setting was just too good to pass. I had to undergo a 1-hour proctor training where we were informed of our responsibilities and testing regulations. I missed my first training appointment due to a schedule clash but made it good on the second one, which was May 9. I was one of 6 volunteers being trained that day. And I was the only non-American. As we went through the motions I could not but compare to what I have experienced in India. The two systems could not be more different. The system in India is a little bit of rules and mostly human. The American system is completely driven by rules, highly efficient, but somewhat robotic. For example, to ensure every kid takes the exact same test, the class teacher will read instructions from a book. Such as “I will now give you answer sheets”. Yes, she will not say that in her own words. She will read that from a printed text. And every teacher in every school across the state will say the exact same words. And, the teacher cannot explain in her own words if something is misunderstood! All she can do is repeat what is written. I thought this was taking it too far. There is no way any two kids will be taking the same exam. Because they did not have the same morning, the same parents or the same worries, to name a few things. One of them might have witnessed an angry fight between parents last night, while another could have gone for a movie with the parents. Some of the other rules that caught my attention : (a) students who do not finish in the stipulated time can continue to take the test and (b) if you’ve closed your test booklet at the end of stipulated time you cannot open it again even though other students might continue to work on theirs. That said, a few of the rules may be silly but nothing very damaging. The merits far outweigh the silliness. The uniformity does help keep things equal. The Proctor’s Guide that I had to read can be found here. With the training done, I was all set to proctor 🙂 which I did these last two days. I had to be at the exam center by 7:30 am and the test would start by 8 am. I proctored during the Math Active (when they can use calculators) and Math Inactive (no calculators) exams. 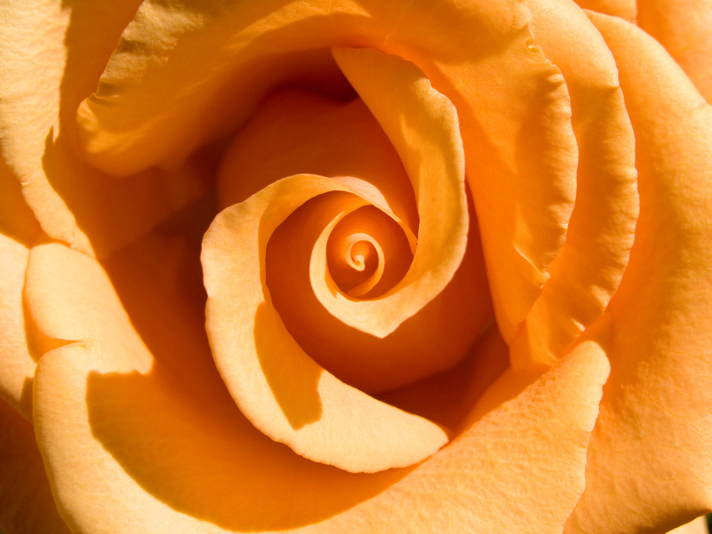 I returned from the experience a rich man, who feels he has been paid in gold. What marvellous kids! My class had 18 children. Gender wise, 12 boys and 6 girls. Ethnicity wise, about ten whites, four blacks, two Indians, one Mexican, and one that I cannot place. During the exam, which lasted 3 hours on day one and 1.5 hours on day two, I had to walk around the room and make sure the kids were answering in the correct section, not out of step, or cheating. I did not have to worry at all about the last. Note that I can only notice and point out any irregularities to the class teacher, Ms. Ruff, an impeccably dressed and smiling middle aged lady. Overall, I did a good job and managed to catch a few students who had gone out of step. The answer sheet had choices that students have to circle. And sometimes they are marking the correct answer choice against the wrong question. As expected, each of the 18 students demonstrated very distinct test taking strategy and behaviour. Some were slow and meticulous, others fast and impatient. Some bright, some not so bright. Some neat, other untidy (in how they worked). Kids that finished the exam before time would start drawing on scrap sheets handed earlier. And they could ask for more sheets. The boys and girls demonstrated distinct gender differences, too. The boys were drawing monsters, streets, writing their own name, block/patters/abstract designs, helicopters, shoes, aliens, excavators, and robotic faces. The girls drew flowers, superheroes (female), and decorative patterns. Some of the boys had pencil graphite all over their hands and needed wet wipes to clean up, some wanted to talk, and many wanted to show other boys their art work. The girls would draw or sit silently, be impatient to leave, or fiddle with their calculators. However, they were all well disciplined. Ms. Ruff must have done her duties rather well! Oh, and she was great in making them feel active and ready for the exam. Between 7:30 and 8, she’d make them do some exercises and towards the end darken the room while they close their eyes and relax. Great technique! She smiled often and spoke softly but firmly. The kids did not hesitate to approach her, trusted her, and accepted her answers. I would be happy having Ms. Ruff in charge of my child! Kids make the world a better place. And they make me very happy! They learn from us, but they also teach us if we accept the role of a pupil. I believe making friends with younglings is an art of the heart. They speak a different language – it has a grammar and a syntax different from adultspeak. So, some unlearning is required. And lots of patience. From my little experience I find that almost every kid out there is eager to find a friend in you. The problem is adults want kids to like them as adults. That is not how you start! I see strong similarities in kids and pets (specially dogs). They are hungry for love. And they want to play with you. How you approach them is very important. The way I do it is present myself as available and waiting. You cannot demand friendship! To exemplify, I draw upon two recent experiences. The first was during my visit to London. I had a gift for a four and a half year old boy. He wanted the gift but His Highness was adamant about two things – one, he did not like me and two, he did not feel like saying “thank you”. Sufficient effort was made but the kid would not budge (no surprises there). The way I saw it was simple. The child was saying “see, if you want to be friends you will have to do more than just give me a gift”. I bid my time. After the persuasion from other adults had died down and the kid had time alone with the gift, I walked over to him and told him about this story behind the gift. Doesn’t he want to know about it? He sure did. Twenty seconds and an impromptu story later, he gladly said thank you and gave me a hug. We were friends. The other incident happened when I recently met Soumya, a friend’s soon-to-be-four daughter. She walked into the room and we looked at each other. I think I said something like this “Hello! 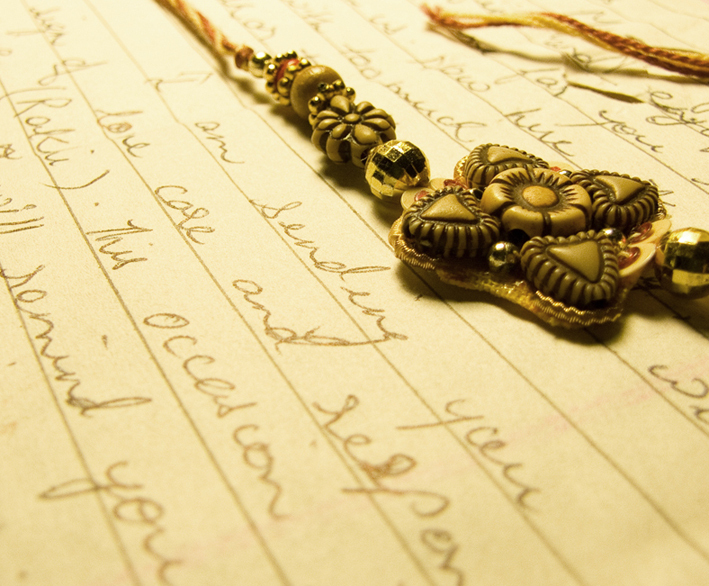 What is your name?” to which she replied “Soumya”. I then said, “Lovely! I’d love to talk to you. Can we do that? to which she replied “no” with a shake of her head. Hmmm… talk of hitting a wall! So, I went back to my chair. But I kept stealing glances at her, and she would do the same. I would tilt my head and smile. She picked the cues and it soon became a game (by the way, this is my favorite first trick). And that is exactly my point. If I were to go back and become an adult, the kid will take a lot longer to connect. Kids love games . They also appreciate when they are taken seriously. It is kind of an oxymoron. They want you to talk to them as if they are responsible adults. But they also want you to play with them. 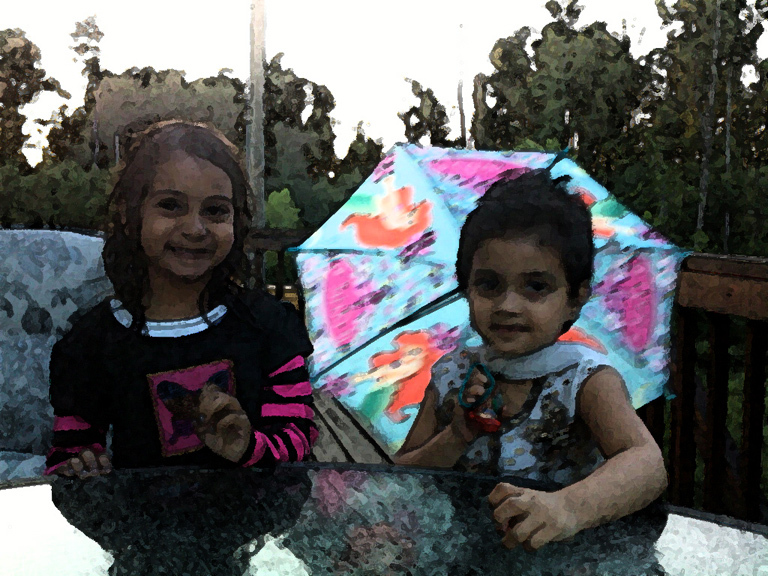 In the picture above, Soumya has this umbrella opened for no reason at all. Aren’t kids amazing? Would an adult ever do that – enjoy an umbrella? No, we open umbrellas only when it is raining and we hardly ever pay attention to the fact that umbrellas are rather pretty. But kids are not chained by adult limitations. Their world is full of sights and sounds that poor adults miss out. To get a child interested in you, all you have to do is get interested in ‘their world’. Soumya and I became fast friends over the next few minutes. She was an easy child to befriend – shy but responsive. And she gave me the best compliment possible when she allowed me to feed her dinner. Though that did not go well with Pari, the other kid in the group, who insisted to be fed by me even though she was not hungry. So, I had these two kids sitting on either side eating spoonfuls served by me. Bliss! In a few days, I am going to face my toughest test ever. I have been invited to talk about Indian culture to a class of American preschoolers (4 to 5 years old). I have never interacted with kids in a classroom setting and so I am full of nervous excitement. Holding the attention of sixteen kids for twenty minutes is not going to be easy. Will post here how I fared. Some things are meant to happen a certain way. 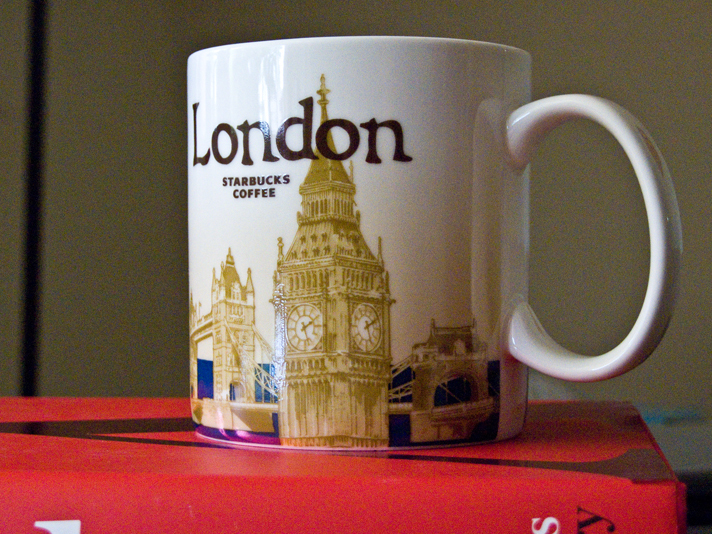 My Starbucks ‘London’ mug seems to be one of those. On my first visit to London, this mug was the only thing I had bought for myself. Unfortunately, it did not last long. To be precise, I dropped and broke the mug within an hour of buying it. And that was the evening before my flight and there was no Starbucks nearby for me to replace my lost souvenir. The next morning, I tried locating the Starbucks at Heathrow airport, but it was in a different terminal or at least too complicated to reach given the time available. So I returned home with only memories in my head. To make matters more bizarre, I had lugged along a SLR sized camera and tripod all the way across the Atlantic, and guess how many photos I made? Not one. Zilch. But as fate would have it, I am lucky to have dropped the mug. Because, on my second visit to London, I had the same mug gifted to me. The same mug. But now many times more precious.